Enterprises cannot function in isolation. We shall work with you to deploy on-demand cloud services and solutions to improve collaboration amongst your business partners, employees and customers. 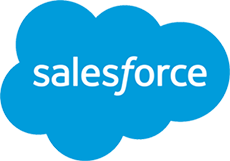 Ideavate provides the expertise for Salesforce consulting, implementation, customization and administration. We design the best in class applications using Force.com platform and get them on AppExchange quickly. ServiceNow's Cloud-based products help you create unified enterprise IT. We work with you to implement and integrate these products and also design applications using its platform. Using solutions from ServiceMax, we bring service delivery to your mobile workforce to transform enterprise IT. We help you understand the various remote computing services of AWS Cloud Infrastructure, deploy the one best suited to your needs and are always ready with the support required.